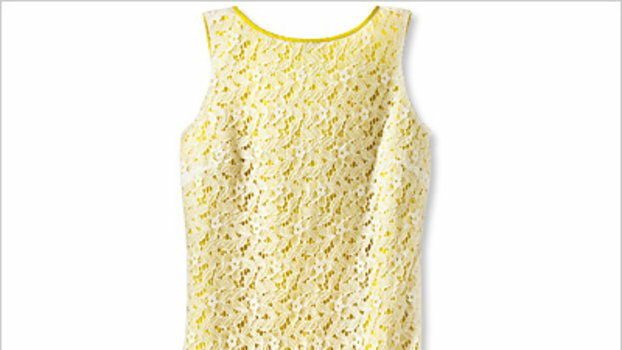 St. John Adina Sleeveless Sheath Dress - St. John Collection textured knit dress. Jewel neckline. Sleeveless. Sheath silhouette. Hidden back zip. Rayon/wool/nylon. Made in Mexico.